Budgeting is becoming cool again! It really comes as no surprise that more and more people are starting to budget as the economy tightens up. I have been noticing more people interested in budgeting – which gets me excited! If you have been around here for any length of time you know that I was converted to budgeting and have been thrilled at how liberating it has been. Yes, I said liberating – I believe that budgeting should be fun and if done properly, it really makes your life a whole lot more peaceful. This is my favorite worksheet I have found, but it isn’t really printable. They do have a free demo, but the full-version is $15. So don’t worry, if a printable and free worksheet is what you are looking for just keep scrolling as there are a bunch below that won’t cost you a dime. In an effort to help out some of the new budgeting converts, I decided to put together this article as a means of consolidating a bunch of budgeting resources. Some are worksheets I created and some are from others. Just about all of them can be downloaded as a PDF, which you can then print from your printer. I have included the Excel file for many of them as well – if you are into that. So hopefully you will be able to find a worksheet that will help you create a better budget! Enjoy! You can get our FREE printable budgeting worksheet just by clicking the link below! Click here to get the FREE budget worksheet! This is budgeting worksheet I created that I use when I am trying to add up my total monthly expenses and compare them to my income. I like it because it has about every possible expense that you could have in your budget. It’s very simple and isn’t fancy at all, but it gets the job done when I am making adjustments to my monthly budget. FreddieMac.com provides this budgeting worksheet. It allows you to budget specific amounts for the month and then compare the figures after the month’s end to see your areas for improvement. Asa.com (American Student Assistance) provides this budget sheet. It is simple and will help college students create a budget to keep them in line financially. A few years ago after getting frustrated with finding myself in debt every year after Christmas, I decided I needed to take some steps in the right direction by budgeting for Christmas. So, what we did was created a list of everyone who we could imagine buying gifts for that year and we used this worksheet to stay within our budget. This is another worksheet that was birthed out of a frustrating situation. I found that while I traditionally had been good about paying my bills on time, I was occasionally late on payments – and it wasn’t because I didn’t have the money, but because I didn’t have a good system in place to pay the bills. So I created a worksheet that I still use 2 times each month that allows me to schedule and pay the bills on time! This is a worksheet that I created to help keep my financial life organized. Basically it is a spreadsheet that contains all of my account details (balances, etc) that would be a very valuable help to my wife if I were to suddenly leave this earth. Since I know a lot more about the details of our financial accounts, I feel that it is part of my responsibility to have things in order for her if I weren’t here. This worksheet helps me do that. 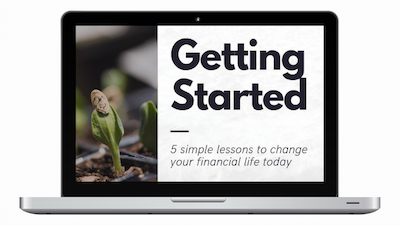 To find out more specifically how to benefit from this worksheet check out this article… Your financial life on one page. If you are following the recommended Debt Snowball as a means of paying down your debts, then this worksheet might be helpful. Find out more about the Debt Snowball Worksheet. These are great, thanks for posting. I’m big on using excel and have created various spreadsheet to help me keep track of just about everything (not just finances), but it did not occur to me to create one to keep track of Bill Payments. What a great idea. I’m not exactly sure how to use your bill payment schedule to keep track of the monthly amounts (do you reset each month? ), so I may rework it a bit so I can see the amounts for each month, but it’s a great template to get me started. This is awesome, thanks for the list! These list are so great. I started using the Bill Payment Schedule. Awesome. Thanks for these!!! The worksheets are very helpful. I think the one I’d be abusing is the Christmas one, that’s nearly the only time I ever fidget about money. Budgeting IS cool again. No longer a 10 letter swear word. Thanks for the tools to make it easier. We should have to work to appreciate the final resuld of better money stewardship, however, if that were the case, I don’t think anyone would budget. I’m sure others have been looking for an automated or premade budgeting worksheet too. I just reviewed these and I’m going to start using the bill payment schedule first of all the others. I’m not at all organized financially. Still, I’m blessed to have money coming in. I hope to use the spreadsheets to see what’s owed even if a decision has to be made on who gets paid. Thanks for the help! Thank you so much for posting this information. This is truly a HUGE help! I was going to say alot more,but the website connection just deleted my lengthy blog…. Basically budgeting works best when you have a full time job at a livable American wage. The majority of ex-middle class Americans no living on the street no longer have this option, and budgeting can become a matter of life or death.To those who think they can not afford to budget ask; What are you going to do when you lose your job, have no savings, and are living in your vehicle or on the street, will you know how to survive then or be able to make good sound money choices? Sadly many Americans are already doing this and despite the government propaganda and lies- YES WE ARE IN A DEPRESSION! To those who still have jobs it may only seem to be a recession, but even more important when and if you lose your job how critical those money decision making skills will be to your survival. Like never before money management have become crucial so thanks again. Thank you random guy in the internet. I was desperately looking for something easy for the same reason you and your wife did it, we always overspend and i came across this. So helpful and easy. Thanks. am I the only one that cant figure out if I can personalize these forms? Like fill in the blanks…if there are blanks? When I print them they have all the pre listed names etc. help?